What are the Benefits of Metal Recycling in Chicago? 10 Apr What are the Benefits of Metal Recycling in Chicago? Do you have a big pile of aluminum laying around? Perhaps you’ve got old electronics of which you need to dispose? If so, you might be interested in making use of metal recycling services. There are more than a few benefits of metal recycling in Chicago, some of which are just minor benefits, and others of which can make a seismic difference. Read on to understand the benefits of metal recycling. One of the primary reasons to recycle metal is that it will substantially help the environment. When metal is being mined for the first time, the many machines which are needed to extract it give off carbon (greenhouse gas) emissions. The more carbon which is emitted, the more harm that’s done to the Earth’s atmosphere. When metal is recycled instead of freshly mined, the carbon which is emitted is substantially reduced. In essence, recycling metal allows for less contaminants to be released into the atmosphere, doing less harm to the Ozone layer. In addition to reducing greenhouse gas emissions, the recycling of metal also reduces the usage of energy. The point is, recycling metal in Chicago instead of mining it takes a great deal of strain off of the electric power grid, and preserves an extraordinary amount of fossil fuels. In fact, it’s been found that energy costs are cut by up to 90% when aluminum is recycled instead of mined. The fact of the matter is that quite a few of the metal preserves on this planet are running dry. In fact, it’s predicted that 44 of Earth’s natural elements will face endangerment in the coming years. These elements do not just appear out of mid-air. Once they’ve been used up, the chances of replenishing them will be poor. Recycling preserves metal ore, allowing the use of this ore to be extended over longer periods of time. Because metal recycling in Chicago extends the life of mined metal ore, it also allows prices of metals to be kept to a minimum. Another legitimate reason to recycle metal in Chicago is that it will help the economy. The number of jobs created in the United States through the metal recycling industry is in the millions, meaning that it creates a substantial percentage of the U.S. workforce. It has been found that the recycling of metal contributes over 200 billion dollars to the United States economy yearly. Perhaps the primary reason to recycle metal is that it makes the cost of metal cheaper. The more metal that’s available, the lower the prices at which distributors can sell it. Not to mention, when metal doesn’t need to be mined, the manufacturing process is a great deal cheaper. If you want to spend the least amount of money on metal as possible in the future, you need to be recycling it. Do You Have Metal to Recycle in Chicago? Do you have any metal of which to dispose? Interested in reaping the benefits of metal recycling in Chicago? If so, and if you live in the Chicago area, we here at Central Metal Recycling have you covered. 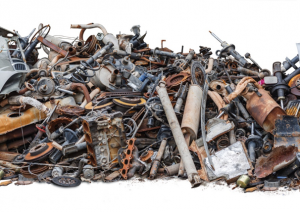 We deal in the recycling of a number of metals, including iron, steel, and aluminum, to name just a few. Our experienced team is ready to help you with anything you need.